Wednesday April 17, 2019 - A section of religious leaders from Nyamira County have asked Deputy President William Ruto to either support the ongoing fight against corruption or resign from Government. The leaders under County Dialogue Team insisted that President Uhuru Kenyatta was on the right path in his quest to leave behind a good legacy. 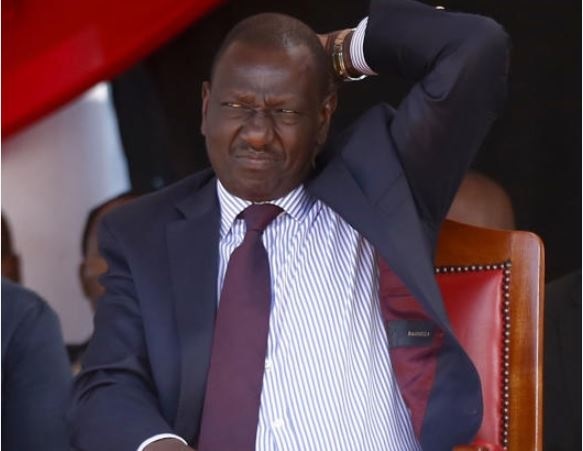 Led by Dr Rev Eliud Nyakundi, they said the approach taken by Uhuru and National Super Alliance leader, Raila Odinga, to unite the country should not be opposed by other political leaders. “As Church, we support the peace initiative in the country for the sake of development," Nyakundi stated. “There is nothing tribal about it,” Nyakundi added. In his previous statements, the DP has insisted that the graft purge is selective and its main aim is to block him from the 2022 Presidential race. But Uhuru has maintained that the ongoing purge is not targeting any tribe or individual but thieves of public money.